Thanks for this. Dyson one of my heroes. Like you, I love his appreciation of the non-scientific as well as the scientific. 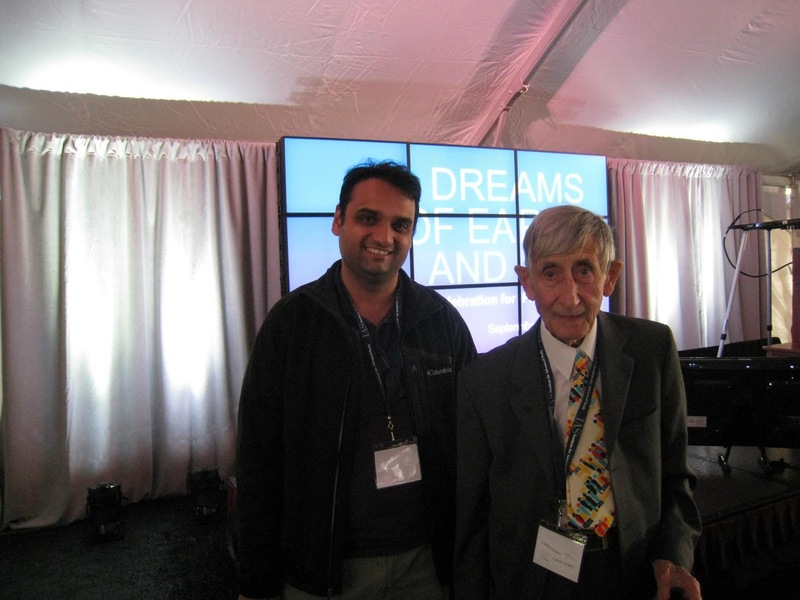 He was a friend of Immanuel Velikovsky, a pariah to most scientists. Dyson wrote a review of Kahneman's "Thinking Fast and Slow" in NYRB, in which he took great pains to praise Freud as well, in which he portrayed Kahneman's scientific approach and Freud's humanistic approach to psychology as complementary. I agree, thanks. Dyson is at his best when contrasting scientific and humanistic styles and when he is being an iconoclast. Thanks for the lucid narrative. 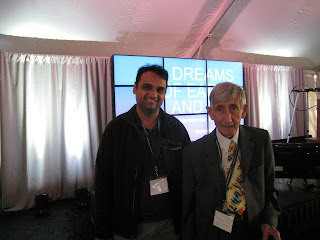 I have read many of his article of this living legend in edge.org including the present one @ https://www.edge.org/conversation/freeman_dyson-heretical-thoughts-about-science-and-society. Great human being and down to Earth Brit. I am not sure when you had this conversation but am curious as to what he thinks of # 45 whose quixotic conduct is much to be desired in the realms of science or non-science subjects . His opinion matters as he went through many US president in his long life and much of it in the US. Finally, keep those articles coming and wish you a very happy 2017. I'm with Anonymous @ 6:21 am. Thanks, Ash, for your always interesting, stylishly scribed & enlightening posts of 2016. I always learn something. Thank you all for reading. A blog is only as good as its readers. Regarding #45, I haven't had a chance to ask him about it, but I won't be surprised if he says something about the fundamental unpredictability of predicting the future. Great post, thanks - based on your recommendation (relayed above from Dyson), I have acquired and almost finished Wells' 1920 Outline of History. A wonderful book indeed, sweeping and well written. Like Dyson, Wells seems to have been an original and highly independent thinker; I was only familiar with his fiction. Thanks again for this post, and all others over the years. Delighted to know that you liked the book. I regret the fact that there are so few authors today who combine the sweep and clarity of Wells's writing: he pitched "The Outline of History" at the right level, somewhere between a popular book and a textbook. The simplicity of the language and the sheer scope of the work is remarkable. The closest analog I can think in today's age is Yuval Noah Harari's books. Thanks very much for your message.